First posted at the Google Policy blog. Patrick Meier just wrote a post explaining why the term he coined, “bounded crowdsourcing” is ‘important for crisis mapping and beyond’. He likens “bounded crowdsourcing” to “snowball sampling”, where a few trusted individuals invite other individuals who they ‘fully trust and can vouch for… And so on and so forth at an exponential rate if desired’. I like the idea of trusted networks of people working together (actually, it seems that this technique has been used for decades in the activism community) but I have some problems with the term that has been “coined”. I guess I will be called a “muggle” but I am willing to take the plunge because a) I have never been called a “muggle” and I would like to know what it feels like and b) the “crowdsourcing” term is one I feel is worthy of a duel. But Ushahidi has never been about gaining a statistically significant understanding of a question or hypothesis. It has been designed as a way for a group of concerned citizens to provide a platform for people to report on what was happening to them or around them. Sure, in many cases, we can get a general feel about the mood of a place by looking at reports, but the lack of a single question (and the power differential between those asking and those being asked), the prevalence of unstructured reports and the skewed distribution of reporters towards those most likely to reply using the technology (or attempting to game the system) make the differences much greater than the similarities. The other problem is that the term lacks a useful definition. Meier seems to suggest that the “bounded” part refers to the fact that the work is not completely open and is limited to a network of trusted individuals. More useful would be to understand under what conditions and for what types of work different levels of openness are useful, because no crowdsourcing project is entirely “unbounded”. Meier says that he ‘introduced the concept of bounded crowdsourcing to the field of crisis mapping in response to concerns over the reliability of crowd sourced information.’ But if this means that “crowdsourced” information is unreliable, then it would be useful to understand how and when it is unreliable. If we take the very diverse types of work required of an Ushahidi deployment, we might say that they include the need to customize the design, build the channels (sms short codes, twitter hashtags, etc), designate the themes, advertise the map, curate the reports, verify the reports, find related media reports, among others. Once we’ve broken down the different types of work, we can then decide what level of openness is required for each of these job types. I certainly don’t want to restrict the advertising of my map to the world, so I want to keep that as “unbounded” as possible. I want to ensure that there are enough people with some “ownership” of the map to keep them supporting and talking about it, so I want to give them some jobs that keep them involved. Tagging reports as “verified” is probably a more sensitive activity because it requires a set of transparent rulesets and is one of the key ways that others come to trust the map or not. So I want to ensure that trusted people, or at least those over whom I have some recourse, do this type of work. I also want to get feedback on themes and hashtags to keep it close to the people, since in the end, a map is only as good as the network that supports it. Now if I have different levels of openness for different areas of work, is my project an example of “bounded” or “unbounded” crowdsourcing? Although I am always in favor of adding new words to the English language, I feel that the term “unbounded crowdsourcing” is unhelpful in leading us towards any greater understanding of the nuances of online work like this. Actually, I’m always surprised at the use of the term “crowdsourcing” over “peer production” in the crisis mapping community since crowdsourcing implies monetary or commercial incentivized work rather than the non-monetary incentives that characterised peer production projects like Wikipedia (see an expanded definition + examples here). I can’t imagine anyone ever “coining” the term “unbounded peer production” (but I seem to be continually surprised, so I should completely discount it from happening) and I think that this is indicative of the problems with the term. So, yes, if we’re talking about different ways of improving the reliability of information produced on the Ushahidi platform, I’m excited to learn more about using trusted networks. I just think that if a term is being coined, it should be one that advances our understanding of what the theory is here. Is it that: if you restrict the numbers of people who can take part in writing reports, you get a more reliable result? Where do you restrict? What kind of work should be open? What do we mean by open? Automatic acceptance of Twitter reports with a certain hashtag? Or an email address that you can use to request membership? Is there a certain number that you should limit a team to (as the Skype example suggests)? This “muggle” thinks that the term doesn’t get us any further towards understanding these (really important) questions. The “muggle” will now squeeze her eyes shut and duck. It’s that time of the year again. Creative Commons and Wikipedia are working towards their fundraising goals for the coming year and asking users to donate to support the cause. – Creative Commons (despite pressure from its international volunteers) still has a mostly male, mostly white, almost all American leadership. If CC is really committed to an international agenda, then they must at least attempt to involve a more diverse leadership in planning for the future. – I know it’s a fundraising campaign but statements like this by Hal Abelson: ‘By supporting Creative Commons, you are helping to realize the promise of the Internet to uplift all of humanity’ leave me speechless. Until we have an international *common* agenda, until ‘all of humanity’ or at least major parts of it have ownership of this agenda (South Africa is the only African country in the CC International stable), we should feel ashamed to make statements like this. – Wikipedia plans to spend $9.4 million in the 2009-10 financial year (up 53% from last year) and has, at last, a plan for spreading the wealth with a $295,000 new grantmaking program (that’s only 3% of spending that goes to chapters but it’s better than almost 0). Problem is that this money seems to only be going to existing chapters (there are no chapters in Africa). This means that, if you wanted money to go specifically to outreach on the African continent, you couldn’t do it since you can only donate to Wikipedia or to existing Wikipedia chapters. 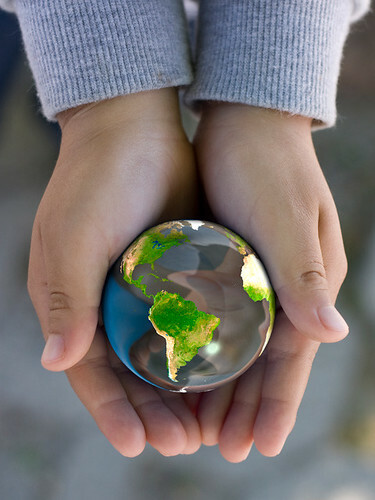 I think that one of the worst things that organisations who have global goals can do is to stop people from countries who are left out of the agenda from donating money. Even if it’s just a small amount, CC and Wikipedia are perpetuating the myth that we don’t care about these issues in Africa. My small contribution has, instead, gone to Global Voices. They spread the small amount of money that they receive pretty widely and their leadership team reaches each region at least. _MG_6689, originally uploaded by btmoss. 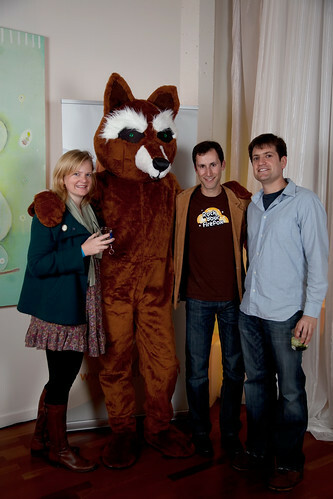 Went to the Mozilla Firefox birthday party in SF last night with DR and Dan Perkel. Loads of fun.